The most comprehensive, fully featured, presentation center available a dream for any educator or presenter. 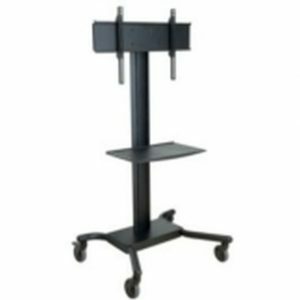 Constructed of 18-gauge steel with square tube corner sup- ports, accented with cherry wood surface, this unique cart offers both durability and beauty. 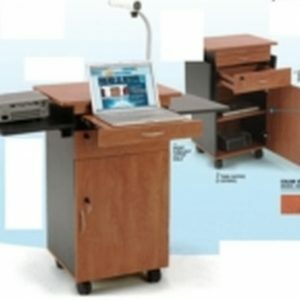 This unit is equipped with a vga easy-connect console that connects to a LCd projector, which can be placed/stored on the lockable sliding shelf built into the unit. 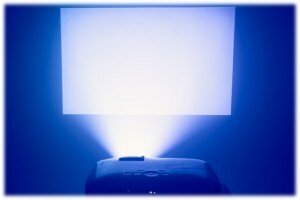 The vga pass through plate allows a presenter to easily connect a laptop or document camera in a flash. 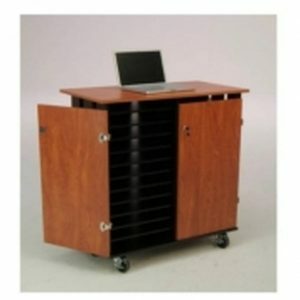 The lockable storage cabinet and sliding shelf are designed to support all leading brand document camera and LCd projectors. The built-in lockable storage drawer will keep all extra cables, pointers and important manuals safe and secure. The top surface is constructed from high quality one inch melamine laminate measuring 18Lx21W. 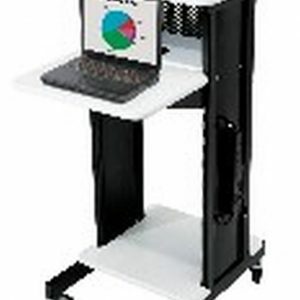 Additionally, this unit is outfitted with a flip up side shelf measuring 16Lx14W which provides the option of having your laptop and document camera available to use simulta- neously. Storing equipment in the large secured cabinet with an adjustable shelf makes the setting up of your presenta- tion as easy as 1-2-3. 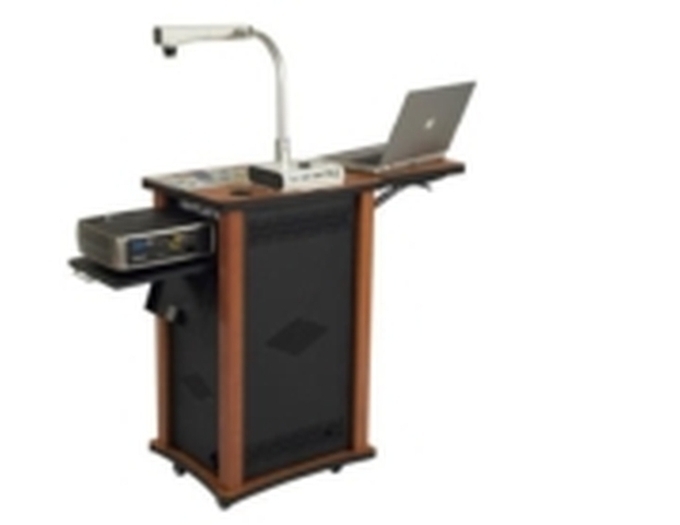 The surface has an integrated pop-up lectern which can aid in reading notes during a presentation. 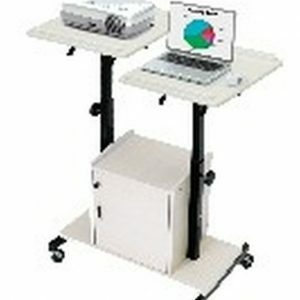 Equipped with 4 casters, unit easily rolls throughout entire venue. a 25-foot cord with winder and a 6-outlet power strip are mounted in the inside of the unit for easy wire management.